Language begins the moment the child walks in the door! 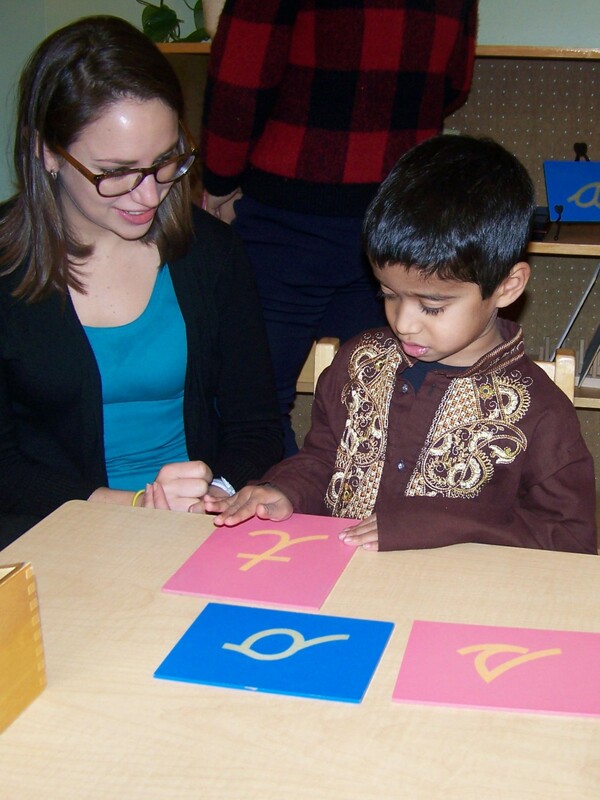 A strong foundation in oral language will prepare the child for future success. We do this by encouraging conversations, singing songs, reading stories, and having fun with finger plays. 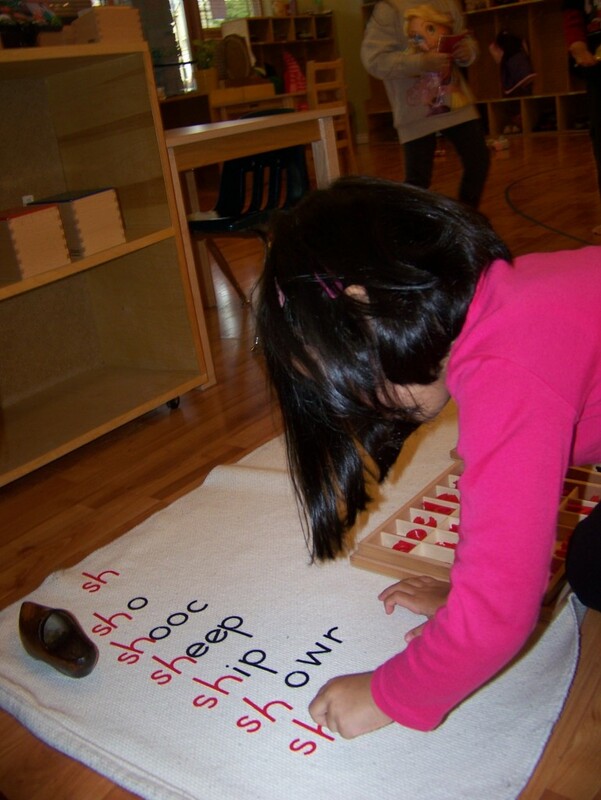 We also introduce sound games to help the child identify the phonetic sound of letters. 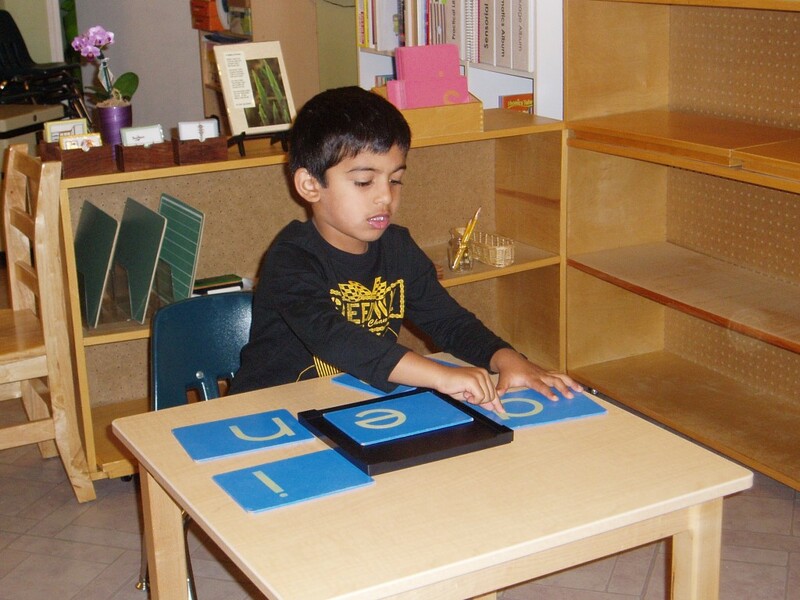 Once the child knows the phonetic sound, we introduce the child to the letter by using the sandpaper letters. This helps prepare the child’s hand. Further preparation of the hand for writing is done by using the metal insets to improve pencil control. 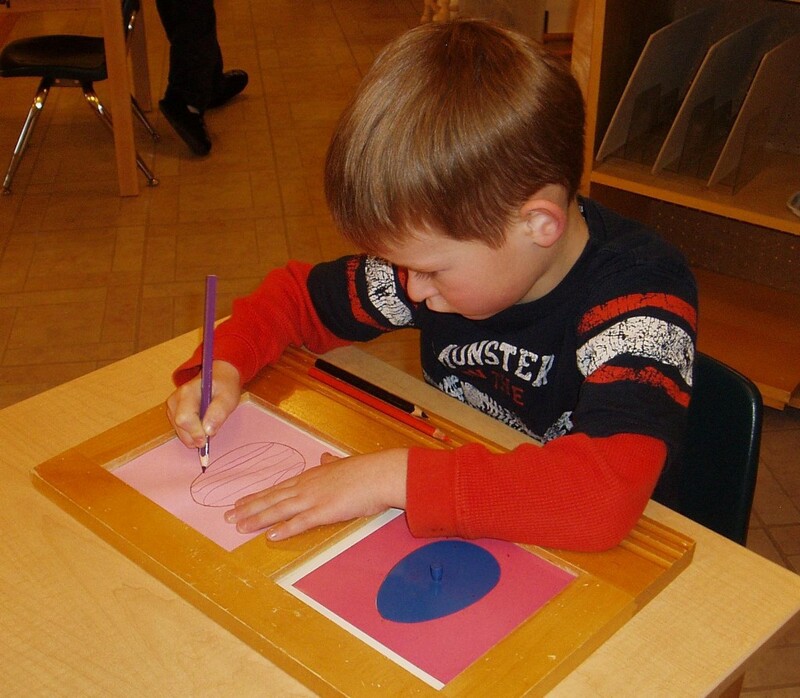 The child begins to practice forming letters using chalk and then when ready, pencil and paper. By focusing on the phonetic, children can easily begin forming words using the moveable alphabet. While these words often look a little unusual at first, the child is simply using their knowledge of the phonetic alphabet. Once the child begins reading confidently with phonetic words, we introduce phonograms and sight words to build up their correct understanding of the spelling of words. The child is well on their way to total reading!